At Barrowford School, we provide broad and balanced learning in line with the National Curriculum. We also design our curriculum to encourage our children to be rounded and grounded individuals through child centred, question led, project based learning. We promote the development of carefully crafted perfect end products that we share with our community through a variety of means every term. All learning is carefully designed to take into account the next steps of each individual child providing continuity and progression throughout school. Children learn through whole phase master classes, individual tutorials and practical experiences which encourage them to become independent and confident learners. We consider it the greatest privilege to be entrusted with your child, sharing the responsibility and honour of helping your child to become the best they can be. 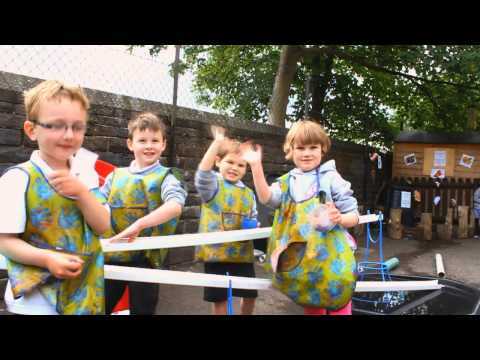 At Barrowford School we aim to nurture each child individually by providing a safe and inclusive environment. We will develop the awareness and understanding of social, emotional and physical well-being of each child. We inspire a joy of learning through creative teaching to build on individual success which will prepare your child for life. We will offer opportunities that are beyond daily routines to broaden their experience, influence their life choices and help them to become a valuable member of the school community and wider world. We pride ourselves on the warm, all embracing and respectful nature of our school and look forward to welcoming you to our community. IF YOUR CHILD IS DUE TO START SCHOOL IN SEPTEMBER 2019, PLEASE CONTACT SCHOOL ON 01282 615644 TO ARRANGE A VISIT. WE WOULD BE DELIGHTED TO SHOW YOU AROUND.